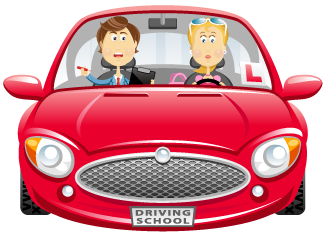 Learning to drive with a qualified driving school or instructor is an important process that helps you to become a safe and confident driver. Before you can take your practical driving test you will need to pass a theory test. With the correct learning material and support this is easily achieved and you will be on your way to gaining you’re sought after driving licence. A theory test comprises of two parts; a multiple choice section and a hazard perception section, you may excel more in one section than the other but both parts need to be passed for you to pass the test, if you fail one part the test will need to be taken again. At Able Driving Skool we can advise you on the best time to take your theory test, some people may decide to take the test before they start their lessons but it is advised to gain real experience in correspondence with your revision for your theory test. When you are ready to take your theory test your instructor will advise you on where the test centre is and how to go about booking. When you arrive at the centre you will not be able to have personal items on your person, they will be safe stored in the lockers provided. The room will be quiet and you will be required to maintain the peace as other people will be concentrating on their tests. You can choose whether or not you would like to do a practice session to get a feel of the layout. The multiple choice part of the test requires a score of a minimum of 43 out of 50. The hazard perception part of the test will contain 14 video clips of everyday road scenes that feature at least one developing hazard. The scores for this part of the test will depend on how quickly you notice the hazard. The pass mark is 44 out of 75. If you successfully pass your theory test you will be presented with a certificate, which you will need when you book your practical test. You will need to pass your practical test with in two years for your theory test to still be valid and to avoid having to take it again.